This year, thousands of people are visiting Ireland for the Gathering and to study the roots of their Irish heritage. 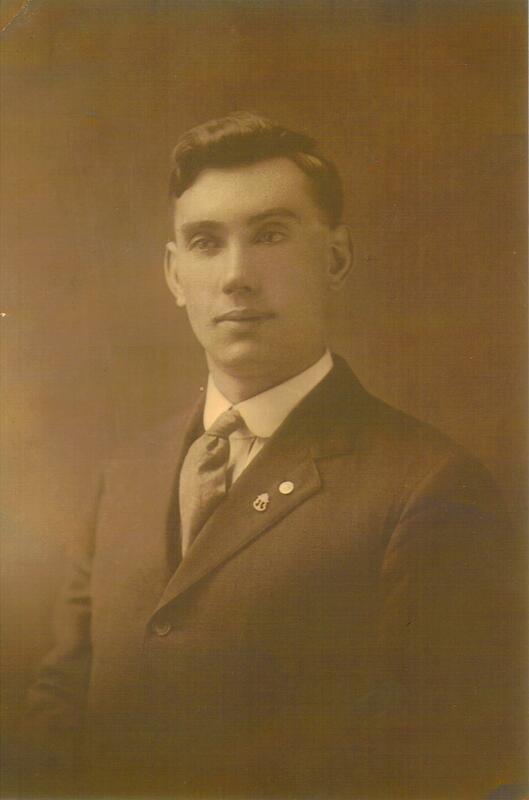 It also marks 100 years since my own grandfather left Ballybunion for the United States. For several years now I’ve been combing through records to reconstruct his life in Ireland and America and to glimpse what it was like to travel across the ocean back then. More than 31,000 Irishmen and Irishwomen sailed from Ireland in 1913, including nearly 1,800 from Kerry. Dire circumstance usually surrounded their departure, and few returned home. Nineteen-year-old Willie Diggin of Lahardane boarded the S.S. Baltic at Queenstown (Cobh) on May 2, 1913. He arrived at Ellis Island eight days later, and then rode a train to Pittsburgh. There, he joined his older sister, an uncle, several cousins and thousands more emigrants from North Kerry and other parts of Ireland. Willie enrolled in the Ancient Order of Hibernians and the Holy Name Society. He found work as a streetcar motorman. In 1924, he married Nora Ware, a Ballylongford girl, and they had six daughters. The second youngest, Lenore, is my mother. The girls were ages nine to 16 when their father died of a heart attack on a cold December morning 10 days after Pearl Harbor. Willie was a month short of his 48th birthday when he stopped the streetcar in front of a Catholic church. A priest administered the last rites inside the motorman’s cab. One hundred years after Willie’s emigration, the house where he grew up is still inhabited by relations. His name and those of his parents and siblings remain inscribed beneath the image of the Sacred Heart hung near the front door in 1922. Though Willie and Nora never returned to Ireland, several of their daughters and 12 grandchildren, including myself, have made numerous trips to North Kerry since the 1960s. We always appreciate the gracious welcome of relatives and strangers and wish to say go raibh maith agaibh, and God bless you, at this centennial of ancestor’s emigration. Florida journalist Mark Holan is honoring the centennial of his grandfather’s emigration in more detail on his blog.